We are constantly seeking inspiration from events around the world and when we stumbled upon this soiree, we knew we just had to share. The amazing and wildly talented Bailey McCarthy of Peppermint Bliss planned an incredible surprise after-party for their wedding guests which was called "Down the Rabbit Hole". Just think crazy Alice-in-Wonderful, Willy-Wonka on acid. 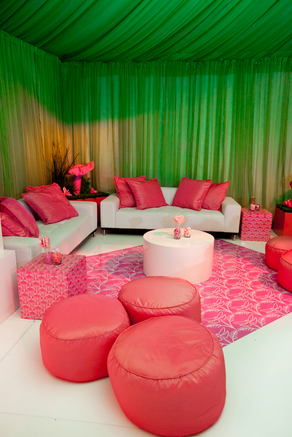 Mind-blowing and brilliant, she themed each corner of the tent colour-blocked in a different colour. 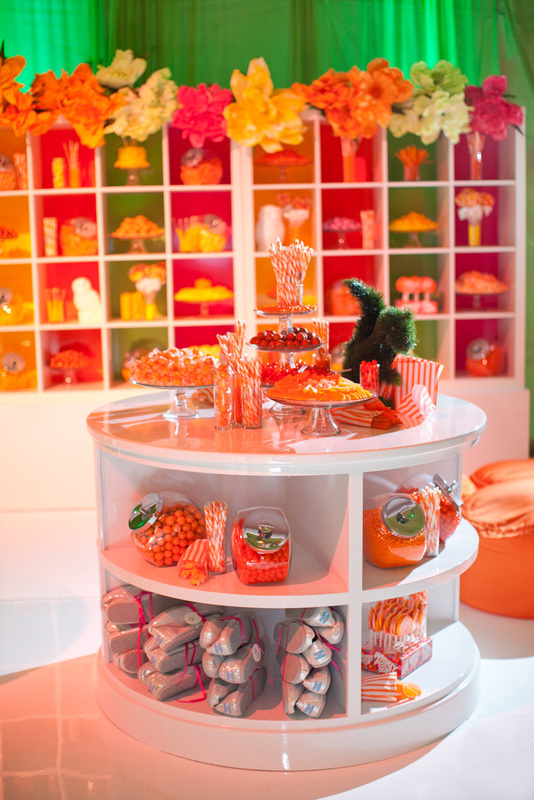 There were walls of candy with bon bons, macarons and lollies in each respective colour. Over the bar, a gigantic tree flowered with bright big blooms that looked like they came straight out of a fantasty novel. Can you say AH-MAZING? !